We're about a week away from the start of football season, and fans of every team can't wait for kickoff. Everybody is undefeated, so there's no better time to get excited about waving your team's colors. 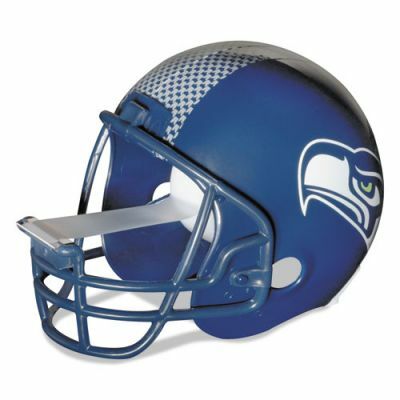 In the office supply world, we have more products available to celebrate your love for a team. 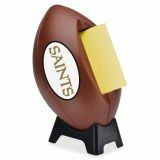 We've talked about 3M's Scotch tape dispensers, and now they're in stock for all 32 teams! 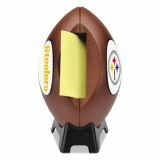 These tape dispensers work with standard Scotch tape rolls and add team spirit to any desk. 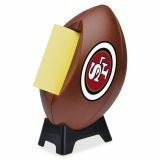 In addition to the helmets, 3M has expanded their NFL offering to include Post-It Note dispensers! 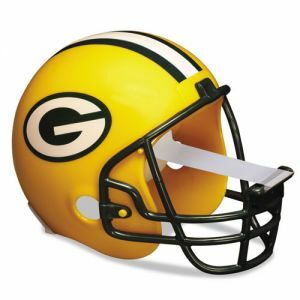 Once again, all 32 teams are available. The dispensers hold 50 sheets of standard 3x3 Post-It Notes and separate for easy refilling. Check out this page for a full list of dispensers for the entire league! Buying office furniture is never easy. Any desk arrangement has to meet several criteria. It has to fit within an allotted space. It has to have enough storage and surface area for the user. It has to hold a computer, monitor and whatever cables come with them. Most of the time, elements of a proper desk configuration are sold separately, leaving you to visualize if a desk, pedestal and return will all fit together without taking too much space. The solution to this last problem is clear- order a full desk suite as a set. Most of the time, the ideal set-up will be one of many common arrangements. There's a simple desk with a pedestal and either a left or right return. Perhaps you'd like a hutch on top of that. A credenza on the other side will create a U-Workstation, or eliminate the bridge and stick with desk space on the front and back. 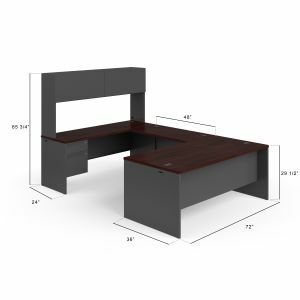 Both Hon and bbf offer desk suites that take the guesswork out of office furniture and offer a full set designed to meet your needs. Series like the Hon Voi make sure that there are plenty of stylish options if you're going for something less traditional. 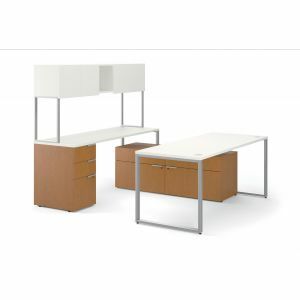 Check this page for more information on buying a desk suite!